You need to note that Orders are essential tools needed for all types of traders. It is what should be under consideration at the time of the execution of trading strategies. These are what have to be used to enter into a trade. It is also what helps in the maximization of profits and also helps to minimize the risks on the downside. 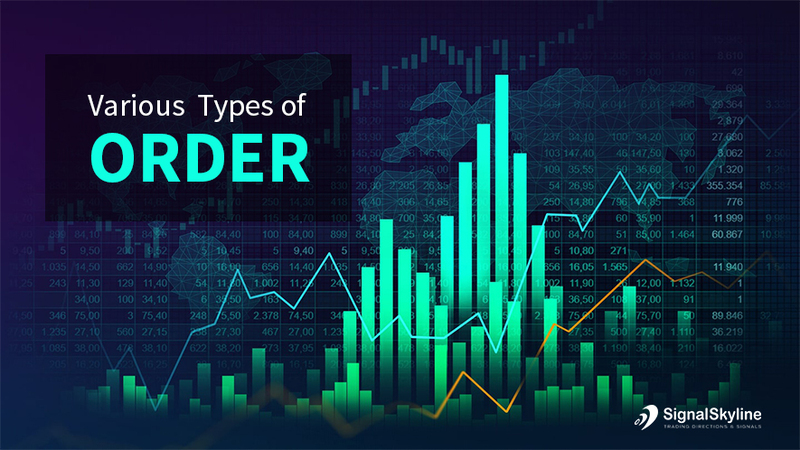 Once you understand how the order types differ from one another, you would be able to determine the orders that would suit your needs for reading trading goals you seek to achieve. In terms of trade, a market order is the most basic order type. It is executed at the best available price on the receipt the time of the order. This is meant for buying or selling at a specified price or the one more suitable. 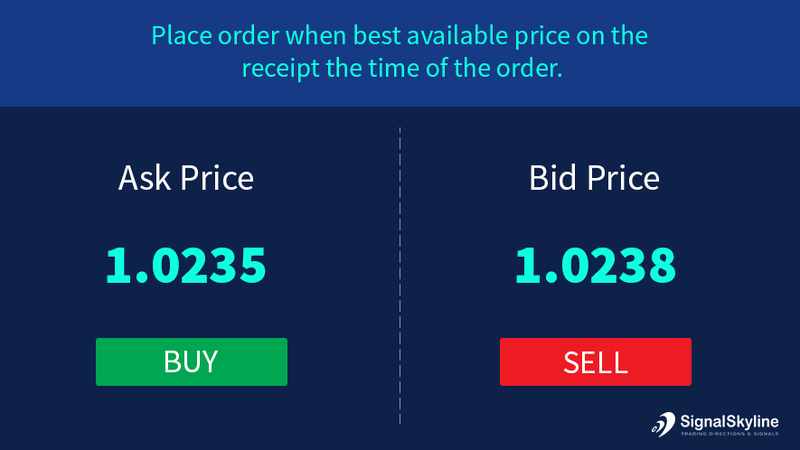 A sell limit order is executed a specific price or at the one which is higher. 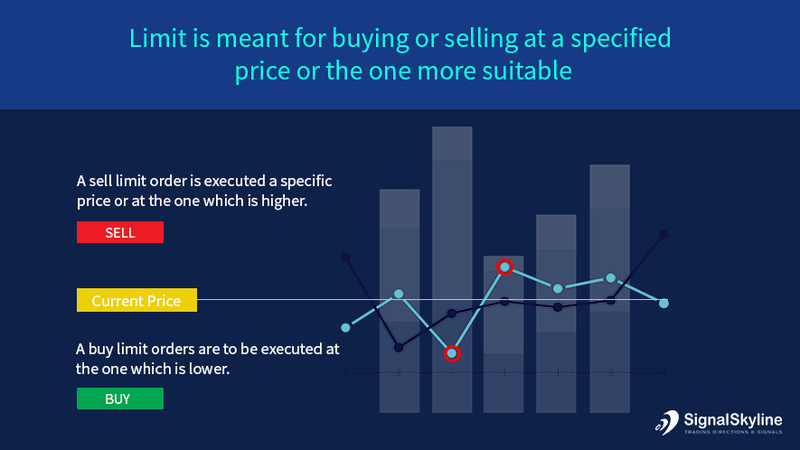 On the other hand, whereas buy limit orders are to be executed at the pre-decided price or one which is lower. 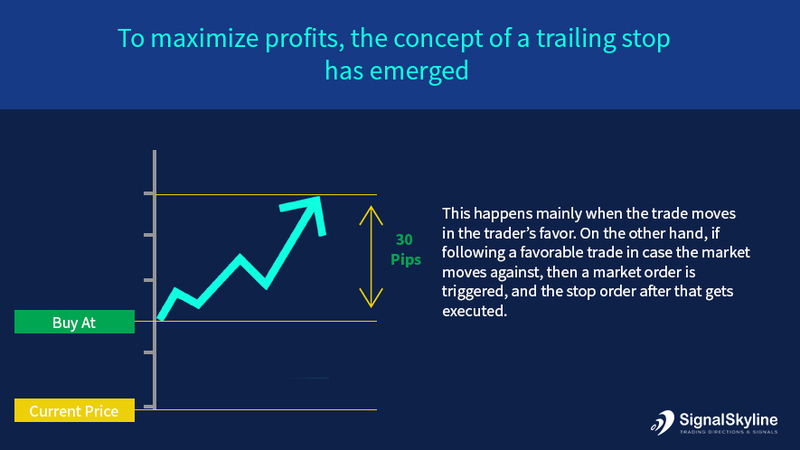 These orders benefit traders since they can be more flexible and at the same time, it helps to define the particular entry point or that of exit any trade. You must note that that limit orders do not guarantee that you will enter into or exit a position. 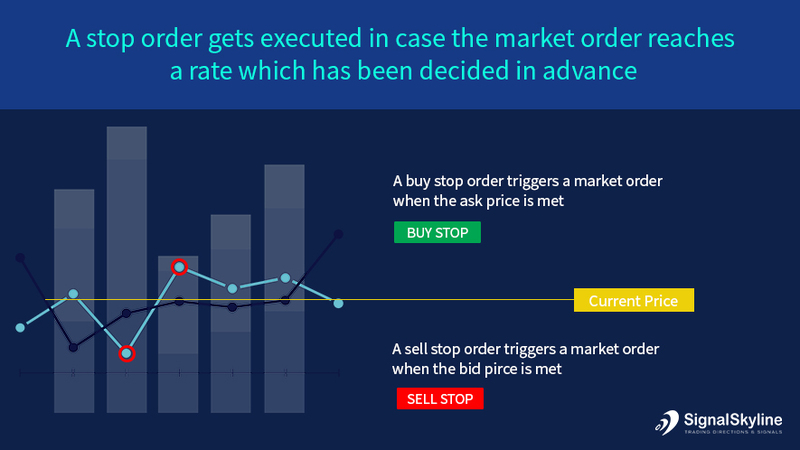 A stop order gets executed in case the market order reaches a rate which has been decided in advance. You need to note that both buy as well as Sell Stop orders are executed at the most suitable best available price. However, liquidity also is another factor. These are used to minimize the losses. To maximize profits, the concept of a trailing stop has emerged. This happens mainly when the trade moves in the trader’s favor. On the other hand, if following a favorable trade in case the market moves against, then a market order is triggered, and the stop order after that gets executed. Here again, their liquidity is another factor determining the execution. A GTC order is an order which remains active in the market until you decide to cancel it. In this case, your broker would not cancel the order at any time. Thus it is your prime responsibility for remembering that you have the order scheduled. This is the same as the GTC, but this remains active in the market until the end of the trading day. Since the foreign exchange is a 24-hour market, this usually means 5:00 pm EST. Since that’s the time, U.S. markets close. But make sure that you double check with your broker. In case of the if/then OCO order, it implies that provides that in case the first order gets carried out then after that the second order too gets activated. Whereas if the first one is not triggered the second order would remain unexecuted. You must also understand that unassociated orders are not attached to a trade. They act independently of any position updates. Much like the regular OCO order, the execution of either one of the two “then” orders automatically cancels the other. This is basically done to manage a situation wherein if a predefined condition arises then the second order would get executed. In cases where the “if” single order does not execute, the “then” OCO order too would get dormant. Thus in both the cases, if the first condition for trade is not carried out the second part of the trade as specified also is unexecuted and stands canceled. These things are being eventually will be offering the expected result.